I borrowed a copy of George R. R. Martin‘s Fevre Dream from my local library. Marsh meant to turn down York’s offer. It was too full of secrets that spelled danger. But the promise of both gold and a grand new boat that could make history crushed his resolve—coupled with the terrible force of York’s mesmerizing gaze. Not until the maiden voyage of his new sidewheeler Fevre Dream would Marsh realize he had joined a mission both more sinister, and perhaps more noble, than his most fantastic nightmare…and mankind’s most impossible dream. 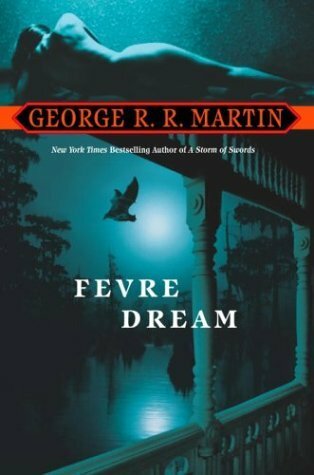 I picked this book up because I wanted to sample Martin’s writing without getting into the LONG A Song of Ice and Fire series and I was basically pleased. There were some things I loved, the main character Abner for example. You just don’t come across many middle aged, fat, harry, warty, UGLY protagonists and I appreciated it. Plus, I just plain liked him. There were also things I hated, the frequent use of the “N-word” being one of them. Now, I understand this is set largely in 1857, on the Mississippi River. Slavery was a reality and no, people of the time wouldn’t have used polite language. I get it. But it’s still nails-on-a-chalkboard for me to read and pulled me out of the narrative every-time, especially when the word was used in the narration in addition to dialogue I could blame on a character. Maybe it just wasn’t needed quite so OFTEN. The story itself was fairly straightforward, but took enough turns to keep things interesting. I did think it was bogged down with steamboat information, but I never quite reached boredom. There were also some interesting moral questions explored by the main characters, though this was only a small part of the book. It had a great ending though. Al in all, I enjoyed the book well enough to trust the author with a longer series. I’ll happily read more of Martin’s work. This entry was posted in books/book review, Challenges, First Reads 2015 and tagged book review, challenges, fantasy, vampire on June 30, 2015 by Sadie. I picked up a copy of The Duchess War, by Courtney Milan, from the Amazon free list. At the time of posting, it was still free. I really really enjoyed the first half of the book, but I knew I was in for trouble when the H & h got together at roughly the 50% mark. I thought, well, what nonsense is the author going to toss out there to fill the rest of the pages? And that’s pretty much what it felt like, a bunch of needless drama to fill pages. Plus, it got too saccharine sweet for my tastes, what with EVERYONE needing their happy ending. I did appreciate the non-alpha, damaged hero, the smart, feisty heroine and the lesbian aunts. I thought the writing was pretty good. 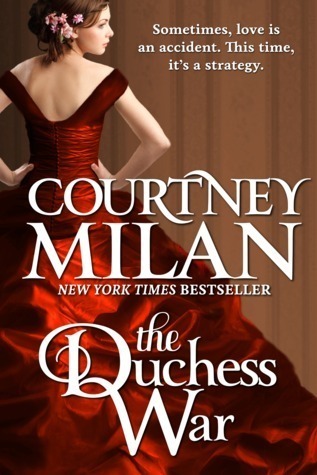 And considering I generally avoid historical romances like the plague I’m shocked to have liked this as much as I did, but again, the beginning far more than the end. This entry was posted in books/book review, Challenges, First Reads 2015, indiefever 2015 and tagged #indiefever, book review, free, historical romance, KDP, romance on June 28, 2015 by Sadie. I’m kind of excited to have joined a book club, as in a real life, in person, book club. woo-hoo. 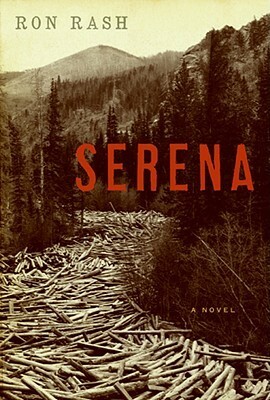 Serena, by Ron Rash, was the book they chose this month. I picked a copy up from the library. The year is 1929, and newlyweds George and Serena Pemberton travel from Boston to the North Carolina mountains where they plan to create a timber empire. Although George has already lived in the camp long enough to father an illegitimate child, Serena is new to the mountains—but she soon shows herself to be the equal of any man, overseeing crews, hunting rattle-snakes, even saving her husband’s life in the wilderness. Together this lord and lady of the woodlands ruthlessly kill or vanquish all who fall out of favor. Yet when Serena learns that she will never bear a child, she sets out to murder the son George fathered without her. Mother and child begin a struggle for their lives, and when Serena suspects George is protecting his illegitimate family, the Pembertons’ intense, passionate marriage starts to unravel as the story moves toward its shocking reckoning. Can I just say how happy I am to be done with this book? I think it took me forever and a day to read it. It’s not that it’s a particularly bad book, but it was not to my tastes and frankly I was bored for most of it. The events alluded to in the synopsis don’t really happen until the last quarter of the book and the child and his mother play a very small role in it. The rest is largely the day-to-day happenings of the logging camp. I enjoyed the loggers’ uneducated observations about their bosses, but was less enamored with those bosses themselves. They were such intensely dislikable people (as they were meant to be). He was simply a snobbish product of his time. She, however, was a homicidal psychopath. All in all, probably a fine read for someone more inclined to enjoy the genre. I read it because my book club chose it this month. It’s unlikely I would have picked it up otherwise. This entry was posted in books/book review, Challenges, First Reads 2015 and tagged book club, book reviews, historical fiction on June 25, 2015 by Sadie.